On Tuesday, December 16, the New York Herald printed a list of soldiers killed or wounded at Fredericksburg, including an entry for “First Lieutenant G. W. Whitmore, Company D,” of the 51st New York Infantry. It was mid-morning when poet Walt Whitman saw the item and surmised that it referred to his brother George. In a fevered hour, Walt informed his family and made arrangements to leave New York for Washington, DC, where the wounded were being transported. Pick-pocketed on the ferry along the way, Walt arrived in Washington “without a dime.” With the help of his former publisher Charley Eldridge, by then working in the office of the Paymaster General, Walt spent the next day “hunting through the hospitals, walking all day and night, unable to ride, trying to get information, trying to get access to big people.” Walt’s brother Jeff back in Brooklyn saw in the New York Times that George was now listed under his correct name with a wound to his “face.” He wrote immediately with this news to Walt, telling him, “we are trying to comfort ourselves with hope that it may not be a serious hurt.” Meanwhile, Walt had concluded that George must still be in camp near Fredericksburg and began working bureaucratic channels to obtain a pass. It was Friday afternoon when he arrived at Falmouth and made his way to Ferrero’s brigade. “When I found dear brother George, and found that he was alive and well,” Walt wrote his mother, “O you may imagine how trifling all my little cares and difficulties seemed—they vanished into nothing.” George had sustained a deep gash from a shell fragment—”you could stick a splint through into the mouth,” Walt wrote—but the wound had not been deemed serious enough for him to be confined to the hospital. Walt sent the good news to Washington via messenger to be telegraphed home to Brooklyn. Out doors, at the foot of a tree, within ten yards of the front of the house, I notice a heap of amputated feet, legs, arms, hands, &c., a full load for a one-horse cart. Several dead bodies lie near, each cover’d with its brown woolen blanket. all sunken about the eyes? That moment of connection—that radical identification with men, young and old, who were otherwise strangers to him—reshaped the rest of Whitman’s life. He resolved, after George returned to active duty, to stay on in the hospitals in Washington, ministering to the soldiers there. The following short essays take measure of the impact of that decision—how Whitman was shaped by the Civil War and, in turn, has greatly shaped our understanding of that pivotal time. 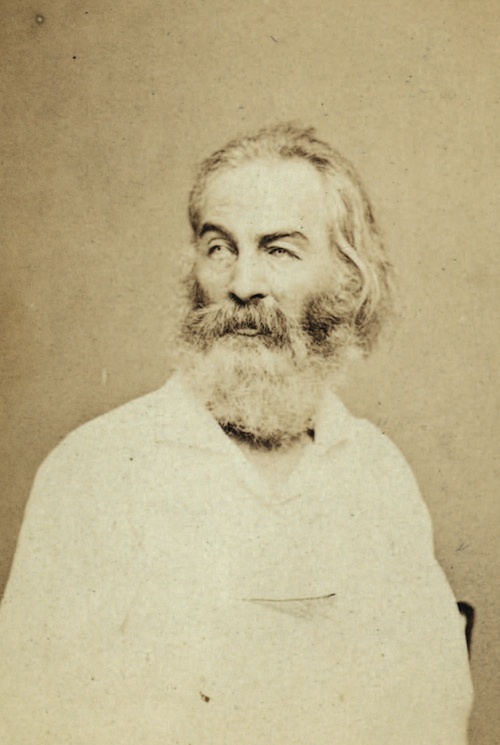 They show, too, how Whitman’s poems continue to speak, across time and place, addressing familiar concerns, as our nation once again wearies of years of war and the casualties, both visible and not, that fill the hospital wards of our nation’s capital and scar the soul of our country.